Kralendijk- Teachers can do more than teaching alone. 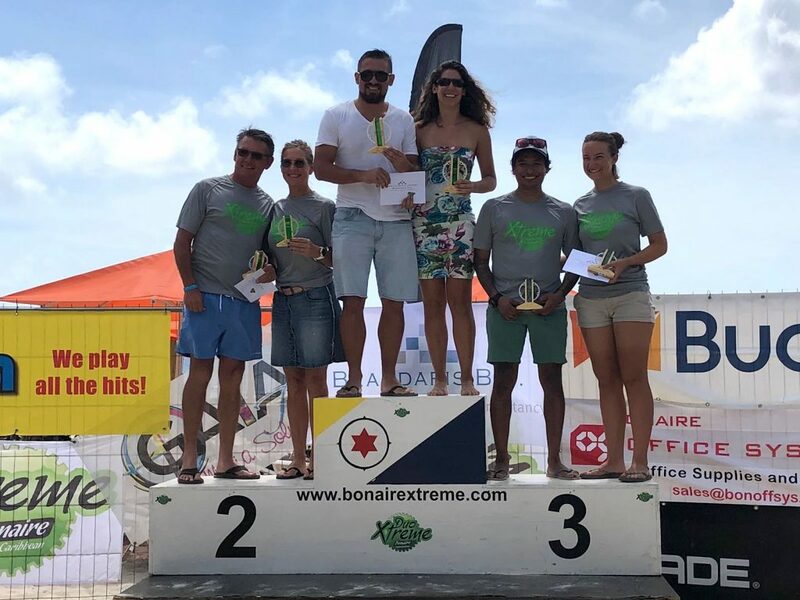 This much was proven when various teachers from the SGB won prizes at the Duo Xtreme Bike races. The Duo Xtreme race is an international mountain bike race that executed for 90% on unpaved terrain and is a total of 70 kilometers long. Participants come from Bonaire, Aruba, Curacao, but also from the United States, the Netherlands and Spain. “In the beginning it was tough, but once the pace was set we got into a ‘flow’. It was a strong example of teamwork”, said Toonen. “We really did a lot of cycling”, adds Homburg with a big grin. The teachers are now back of work with quite some muscle pains, but hope to inspire their students enough to also participate in the future. The teachers also hope to motivate (future) students to do follow a career in physical education, to help others to excel in sports. Information about the physical education studies at SGB can be found at: www.mbobonaire.com.